- a beautiful 3-room apartment completely renovated comprising : on the first floor, an entrance with an access to the 2-room apartment, on the second floor, a very nice living-room with kitchenette and a big balcony, a mezzanine, 2 nice bedrooms with balcony, a shower-room and toilets. 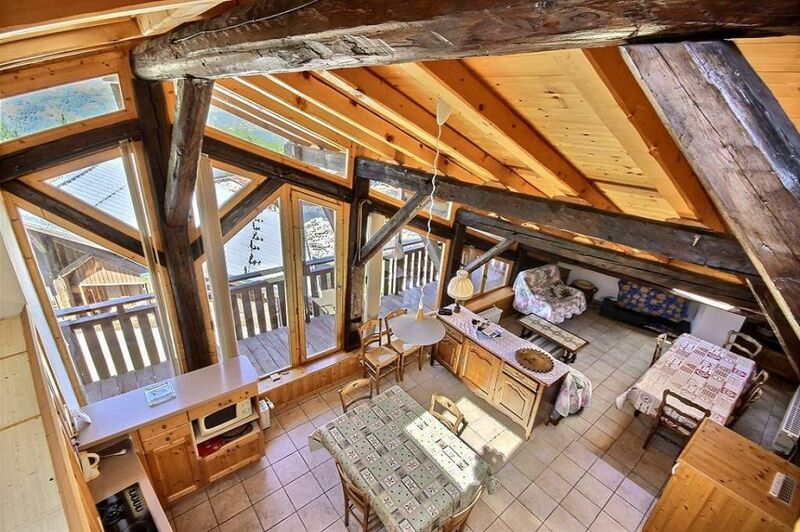 Big windows offer incredible views on the surrounding mountains. Ideal for winter or summer holidays. Montalbert is a charming village at the heart of the big ski area Paradiski, with a friendly atmosphere. At this lower altitude, delightful woods and sunny exposition lend themselves well to nature lovers who will appreciate the environment, during winter or summer. From the ski paradise to the high landscapes of the walkers, FEEL WHAT'S REAL !